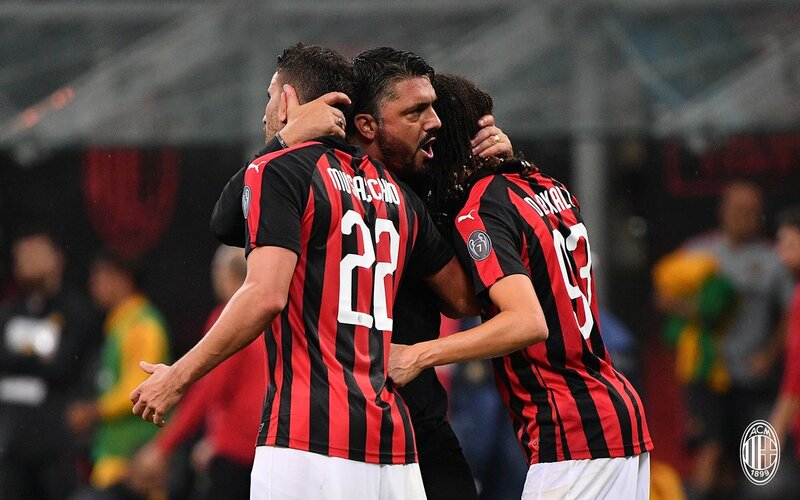 Seven-time European champions AC Milan recorded their first win of the new Italian Serie A season at the San Siro on Friday night following their 2-1 victory over top four rivals AS Roma courtesy a late strike from young Italian striker Patrick Cutrone in the week two clash. Ivorian international midfielder Frank Kessie gave the hosts a first half lead before Argentine defender Federico Fazio equalised for the capital club just before the hour mark. The aforementioned Cutrone came on as a substitute for fellow Italian Giacomo Bonaventura on 84 minutes and didn’t waste much time to make his impact. Cutrone handed Gennaro Gattuso’s team all the three points with his goal on the stroke of full-time. The first league win of the season takes AC Milan (3 points) six places up the table from 17th to 11th, while AS Roma (4 points) drop from joint 5th to 7th spot.